Hi there! 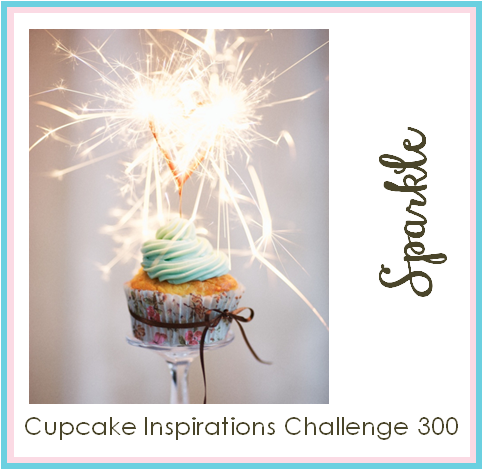 I have one final card to share today as we finish up the Cupcake Inspirations 300th Challenge Celebration. Today I'm playing with the SPARKLE Inspiration again. There's still time to play along in all the challenges, including the COLOR Inspiration and the CONFETTI Inspiration! This beautiful butterfly is from Sweet 'n Sassy stamps and I colored her in with some Daffodil Delight Stampin' Blendabilities. Wait! Before I go on, have you heard the crazy news about these markers being discontinued? I want you to know how much this is destroying my Type A brain. I don't have a complete set (I was actually planning to order most of the markers I was missing THIS WEEK!) and it's going to drive me crazy... probably forever... Just thought you'd like to know. Okay, back to my card... I added a bunch of sparkle to my butterfly using the Wink of Stella Glitter Brush Pen - I love that thing! :) My card is full of lots of fun layers... Layer one is the Basic Black card base with a piece of Typeset Designer Series Paper on it. This grid paper is so wonderful for my Type A brain that likes to line everything up just so. Hahaha! I tried to add some randomness over the grid with some ink splatters from the Avery Elle Brushed stamp set. Next I layered on a Whisper White cardstock tag, threaded with some fun Crushed Curry Thick Baker's Twine from the Hello Life Project Kit (I so wish they sold more colors of this thick twine... It's quite fun!). Then I added a strip on striped Typeset Specialty Designer Series Paper (this is actually the strip that got cut off of Tuesday's card). I added a little chipboard postage stamp frame from Maya Road that I got ages ago and can't live without. I also added the die cut sentiment from Your Next Stamps' Scripty Words Die Set in Crushed Curry. My sparkly butterfly was mounted onto the postage stamp frame with some Stampin' Dimensionals. My final layer is a good dose of confetti. I used these giant sequins from Teresa Collins Save the Date and cute tiny stars that were in Winnie & Walters 1st Birthday Bash Sequin Mix. I'm loving the sprinkles! 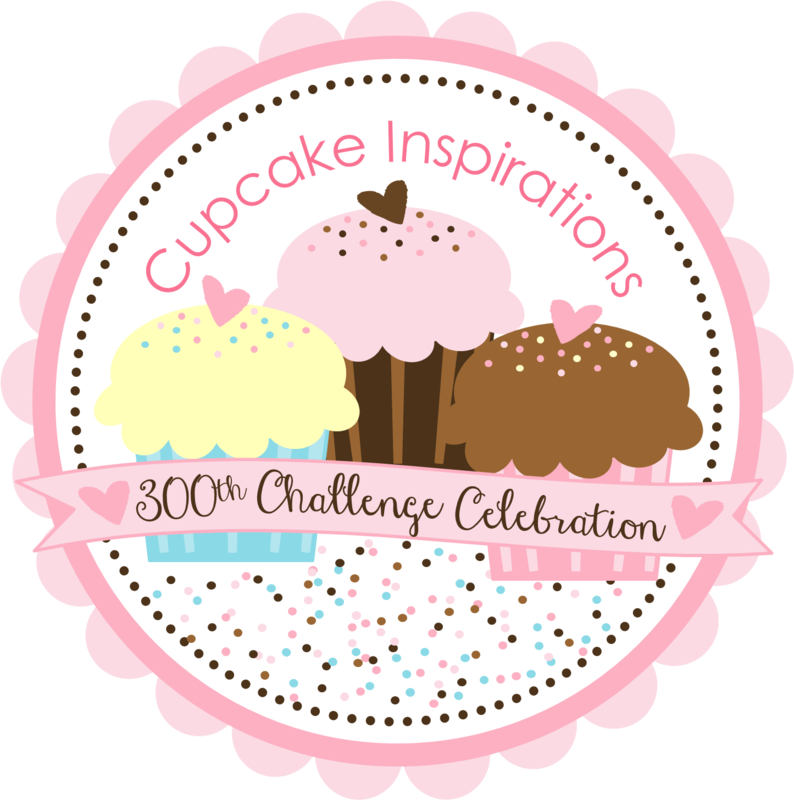 Come celebrate with us over at Cupcake Inspirations and play along in all of our fun challenges this week! You still have some time to play along! All challenges close at noon CST on March 14th. Oh, Nina, such a stylish card!!! Yellow & black - great duo! Love this card!!! Perfect color combo!! Such a perfection! I love this card! !